Four years ago the state of Minnesota celebrated its 150th anniversary, with the Minnesota Historical Society (MHS) and other agencies producing a wide variety of commemorative exhibitions, events, and publications. For the most part, the mood was celebratory. Some Dakota believe artifacts should be returned to them, and that Historic Fort Snelling should be razed or portrayed as a concentration camp used to punish hundreds of their ancestors after the war. Meanwhile, some descendants of the more than 400 settlers and soldiers killed in the conflict complained when early brochures about commemorative cellphone tours of the area hinted that only Dakota elders’ voices would be featured. The concerns reflect debates evident across the country over how to provide a more complete rendition of the past at historic sites, even if that means confronting deeply disturbing events long written out of the historical narrative. The new director of the MHS, Stephen Elliott, is no stranger to such debates in the field of public history, having been part of the move to enhance coverage of slavery and African-American history during his nearly three decades at Colonial Williamsburg. Said Elliott, “You can’t turn your head from what is not pretty in history and, whatever we do, it’s not going to somehow heal things or settle it.” To guide their planning, the MHS has employed what it calls the “Truth Recovery Project,” modeled on a “cross-community” process developed in Northern Ireland by an organization called Healing Through Remembering. Yet the Star Tribune reports that contention remains, much of it surrounding a noose used to hang a Dakota man named Chaska, one of 38 Dakota executed the day after Christmas, 1862. (President Abraham Lincoln pardoned 264 more.) 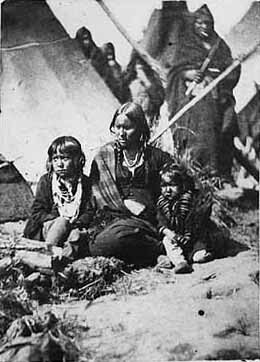 Most experts now believe that Chaska had actually tried to protect white settlers, and his pardon is before the state legislature. While some Dakota leaders demand the return of the noose and other such artifacts, MHS officials and other public historians argue that it is important to preserve them as historical evidence. However, they don’t agree on whether it’s appropriate to display the noose. The MHS showed it to Dakota groups invited to take part in planning, but don’t plan to include it in the forthcoming public exhibit and refused to allow the Star Tribune to photograph it. Darla Gebhard, research librarian at the Brown County Museum in New Ulm, is the great-great-granddaughter of a man who defended New Ulm from Dakota attackers. The noose, she said, should be displayed because “it reminds us of what a horrible end there was to the war and to deny it and not show those pieces is like you’re trying to erase the shame of what happened.” She recalls the shoes and human hair at the U.S. Holocaust Memorial Museum in Washington — “tell me that wasn’t a riveting experience” — and thinks artifacts are vital to understanding history. Read the full Star Tribune article here. And here’s the MHS page detailing the planned exhibit, other 1862 initiatives, and the “Truth Recovery” process.